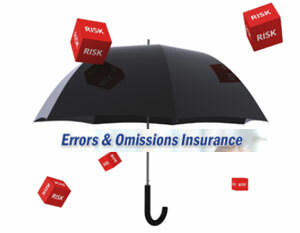 Error and Omission/Professional Indemnity Insurance - Corporate Risks India Insurance Brokers Pvt. Ltd.
Error and Omission also known as Professional Indemnity Insurance is an ideal cover for individuals or companies engaged in the work of professional services. Error and Omission policy provides cover against any legal-suite filed against them by a third-party for negligence or error or omission on the part of the person in delivering professional service. Policy covers the cost of defence, cost of investigation, amount payable as per judgements or arbitration rewards, etc. Only civil negligence or errors are covered under the policy. Any criminal act or act against the local law will not be covered under the policy. Who should buy Error and Omission/ Professional Indemnity Insurance Policy? Which risks are covered under Error and Omission/ Professional Indemnity Insurance? Error and Omission/ Professional Indemnity policy covers the following risks for insured or another person for whose act insured is legally liable during the policy period after the retroactive date of the policy. What does the Error and Omission/ Professional Indemnity policy covers? Error and Omission/ Professional Indemnity policy indemnifies the insured for costs involved in legal liabilities arising out of alleged or actual negligence/error/omission of one’s professional services during the period of insurance. What is the claim process in Error and Omission/ Professional Indemnity Policy? In order to file a claim in Error and Omission/Professional Indemnity policy the insured has to be in receipt of a legal notice from the claimant. The Insured needs to inform the insurance company about the legal notice received by it within the stipulated period post which insurance company will start claim management process.